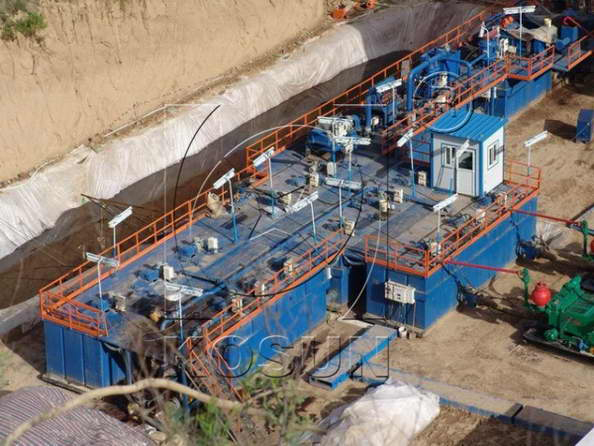 Longer bowl: it adopts innovative longer bowl, allowing drilling fluids to stay longer within bowl in order to get finer solids and separation point. Corrosion-proof and wear-resisting bowl made from alloy materials. Snap-on hard alloy sleeves are fixed at the sediment outfall of taper cylinder . Corrosion-proof and wear-resisting spiral propeller is welded with a layer of wearable tungsten carbide on the residue discharge surface,which is polished to smoothness. The machine also contains bearings manufactured by German FAG and Swedish SKF which comply with SIEMENS/Schneider ATEX or IEC Ex. 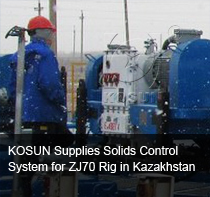 KOSUN Decanter Centrifuge matched with international brand feed pump,which has been specifically designed to provide a quick and easy way to disassemble,de-rag and maintain a Progressive Cavity Pump in-situ,eliminating the costly maintenance and down time that servicing can often cause. 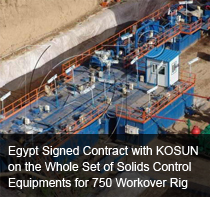 KOSUN will provide a suitable and reasonable solutions on equipment design and purchase to its customers based on their actual requirements and field situations before they buy and then begin to manufacture accordingly. 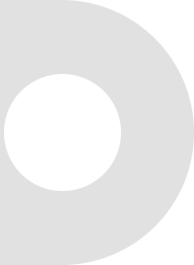 The centrifuge is driven by two motors, master one and auxiliary one, of which the former and the latter drives screw propeller. 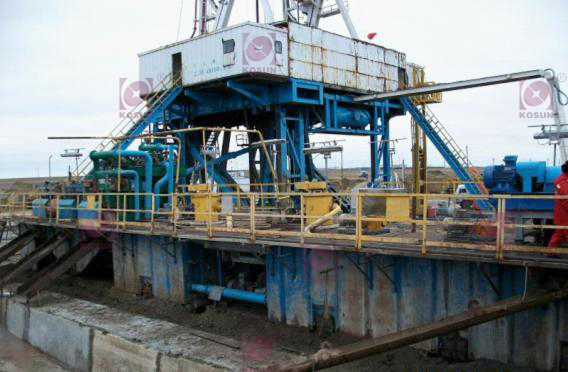 After the machine is started up, the drilling fluids treated by desilter will be pumped to the narrow end of rotary drum via screw pump which will further push it into propeller. Then it will be thrust into the inner side of rotary drum via the holes of screw propeller by the high-speed rotation. At this moment, the rotary drum and the screw propeller will generate a 35:1 differential rotational speed as well as a centrifugal field where the solid phase will be rapidly separated from suspension due to their density and size differences. Then, the separated solids will move along the blocks of screw propeller to the narrow end of rotary drum and discharge from the round holes while the treated suspension to the broad end of rotary drum and discharge from elliptical holes of straight cylinder. It is mainly made from SS321 or SS316L, SS316 material. It contains a spiral propeller, whose blades are welded with wear-resisting tungsten carbide for effective extension of propeller's lifespan. Its inwall consists of wear-resisting antiskid ribs to both protect rotary drum and increase discharging efficiency. The slag hole at its narrow end is coupled with outlet sleeves made from YG wear-resisting materials. On the surface of the narrow end are matched with several changeable and wearable liquid level board used to adjust the depth of liquid level. 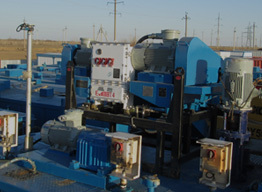 We mainly purchase nation-renowned explosion-proof electric motors due to their ability to effectively ensure the power supply to drilling equipment, stability and safety. It has a gear reducing structure. Its shell is connected to rotary drum. Its input shaft is linked to auxiliary electric motor via belt-pulley. When they work together, they will generate differential rotational speed to the propeller inside drum. Differential gear is the key part in centrifuge, primarily used for supply of large torque and constant differential rotational speed. 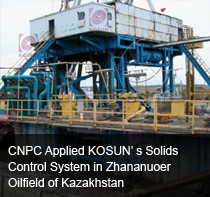 Its three drive structures are planetary gear, cycloid pin gear and hydraulic gear. 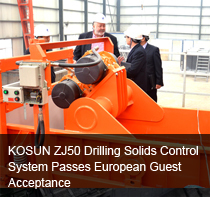 Its outer shell is explosion-proof, adopting welded steel plate structure made up of socket and control chamber. Master electric motor cabinet contains such original parts as AC contactor and thermal relay so that the motor will be protected to the greatest degree once emergency occurs. 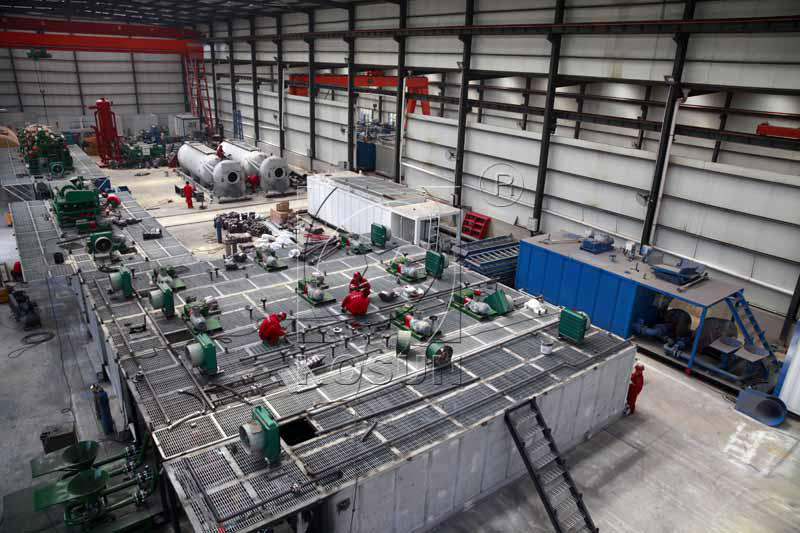 Besides, we also provide explosion-proof frequency conversion control tank. It is a flexible hydraulic rotating device connected to master electric motor which thereby can start no-load centrifuge to reduce the starting current and protect the motor. 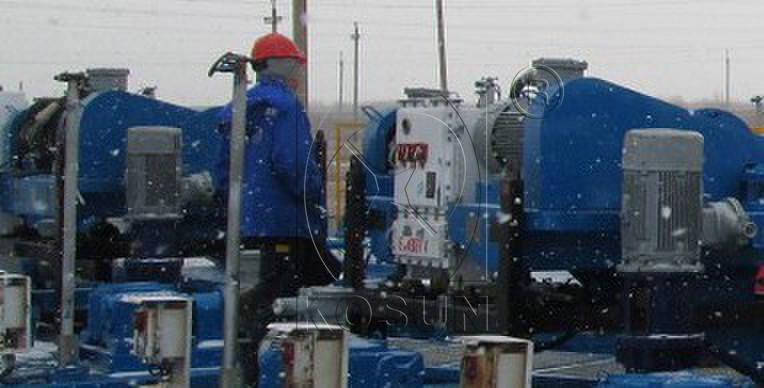 If the load is too much, oil temperature inside will rise quickly above 120 degrees centigrade, oil will erupt via fusible plug, then the drive will be stopped and the motor and other components will be prevented from damage. Power generated by frequency conversion control tank can meet the power demands of master and auxiliary electric motor. 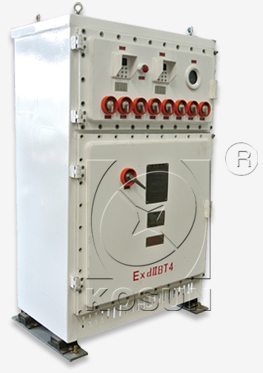 VFD Explosion-proof Control Unit features in effective heat dissipation which can meet the requirements of terrible production condition in oilfields and protective precautions like over-current, overload, overheat, lack-phase, etc. VFD Explosion-proof Control Unit can display the current and rotary speed of master and auxiliary electric motor so as to adjust their frequence. 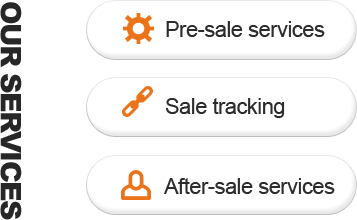 The main eletric parts (like contactor, thermal relay, circuit breaker, etc) are those of Schneider while the rest are domestic quality parts. 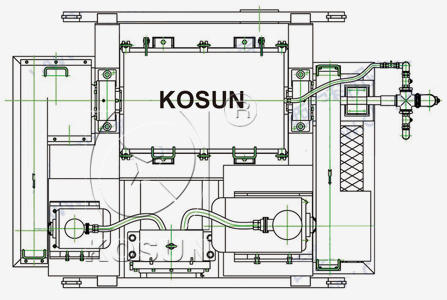 Remarks For fixed speed centrifuge, KOSUN have other speed available for your option by using different pulley. Add: East-west Rd. 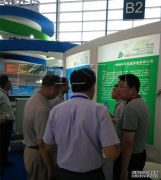 No.3 South, Jingwei Industrial Park, Hi-tech, Development Zone, Xi'an City, Shaanxi, China.